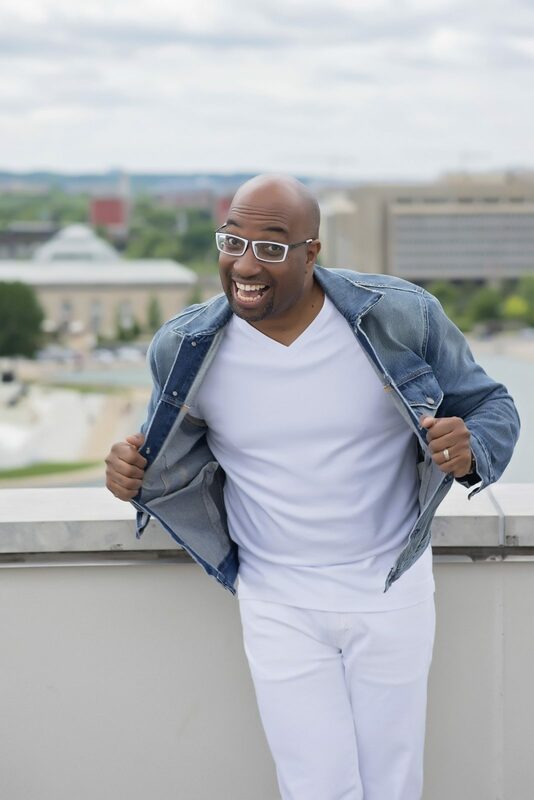 Poet, educator, and author Kwame Alexander will visit Grace College on Oct. 3. Poet, educator and New York Times bestselling author Kwame Alexander will visit Grace College, Winona Lake, Ind., on Oct. 3, 2018, as part of his “Swing” book tour. “Swing” is the newest of 28 books authored by Alexander; others include Newbery Medal-winning “The Crossover,” “Rebound,” and “Solo.” Mr. Alexander will give a lecture and “Swing” book signing on Wednesday, Oct. 3, at 7 p.m. in Westminster Hall, 105 9th St., Winona Lake. The event is free and open to the public. Rich says Alexander is best known for his hip-hop and jazz-inflected verse novels for young adults and called his book “The Crossover” – which she teaches in her Young Adult Literature course – “beloved” by students. Alexander is the recipient of numerous literary awards, including the Coretta Scott King Author Honor, the Lee Bennett Hopkins Poetry Prize and three NAACP Image Award Nominations. He believes that poetry can change the world, and he uses it to inspire and empower young people through his K-12 writing workshop, The Write Thing. Mr. Alexander is a regular contributor to NPR’s “Morning Edition” and the host and producer of a literary variety and talk show, “Bookish,” which airs on Facebook Watch. “It’s hard to convey my excitement to host Mr. Alexander on campus,” Rich continued. “I can’t think of a more high-caliber author we’ve ever hosted at Grace,” she said. The Kwame Alexander lecture and book signing on Oct. 3 is made possible by the support of the Elener R. (Norris) Grossman Fund. Copies of “Swing” will be available for purchase and signing. For questions or more information about the event, contact Dr. Lauren Rich at richlg@grace.edu.